Al-Ayoun (Refugee Camps), October 22, 2018 (SPS) - President of the Republic, Secretary General of the Polisario Front, Brahim Ghali, affirmed that the Moroccan occupier is in an international isolation, despite its prevarications, stubbornness and obstacles, pointing out that Morocco has no other choice but to negotiate with the Polisario Front to seek a formula leading, inevitably, to the independence of the Sahrawi people. “The next negotiations between the two parties to the conflict, namely the Polisario Front and Morocco, will focus mainly on the way to follow to enable the Sahrawi people to exercise their right to self-determination and independence,” said Ghali on Saturday in the wilaya of Al-Ayoun, Sahrawi refugee camps, in a speech on the occasion of the 17th meeting of the North communities. 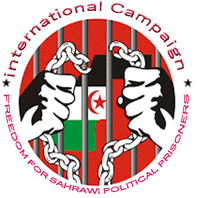 Sahrawi President condemned “the psychological war” conducted by Morocco against the Sahrawi citizens by “questioning the achievements made by the Sahrawi people,” stressing the urgent need to thwart these desperate attempts by the consolidation of ranks, commitment to the national unity and the rallying around the Polisario Front, the Sahrawi people’s only and legitimate representative.